Sacred Cube is an original, rockin, riffin, melodic band sharing our love of music. A band that does not try to sound like anyone else, just write and perform music that has energy and moves us. 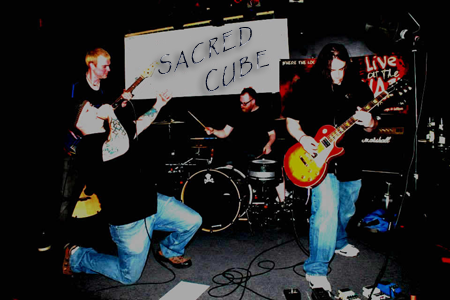 Sacred Cube is a blend of classic, alternative, and modern rock with a touch of blues and punk. Our goal is to be a modern rock band that brings passion and energy to music that captivates an audience.